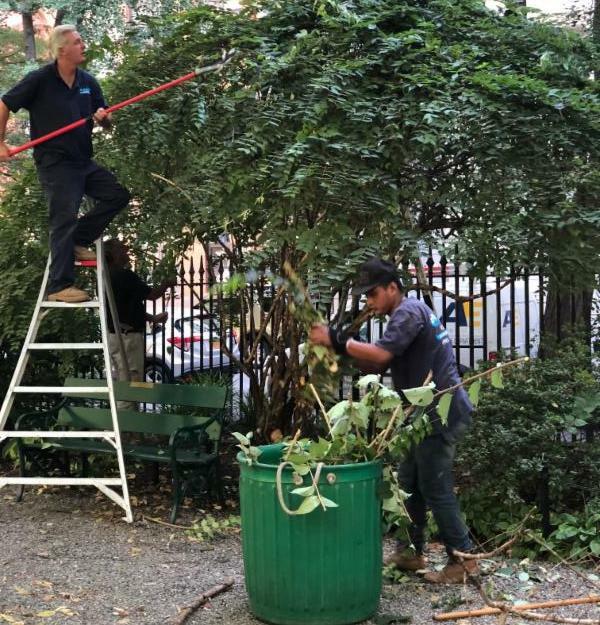 Where is our Gramercy Park Gardener from? 3) Special polymeric wax coatings application and surface polishing to begin this week. 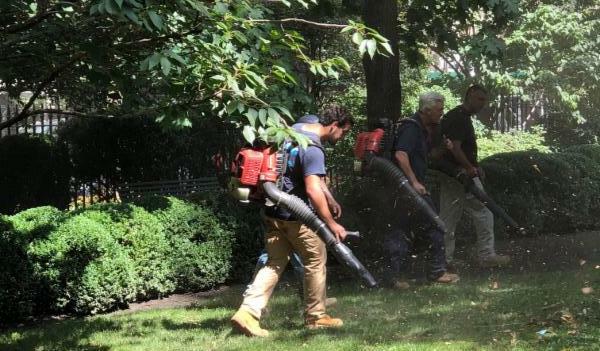 The magnolia tree near the Park shed has been stressed, and Dr Hendrickson, R.A. Bartlett Tree Research Laboratory, is attempting to save it. He examined the roots, the soil and the surrounding trees and advised on how Bartlett will attempt to remedy the situation. 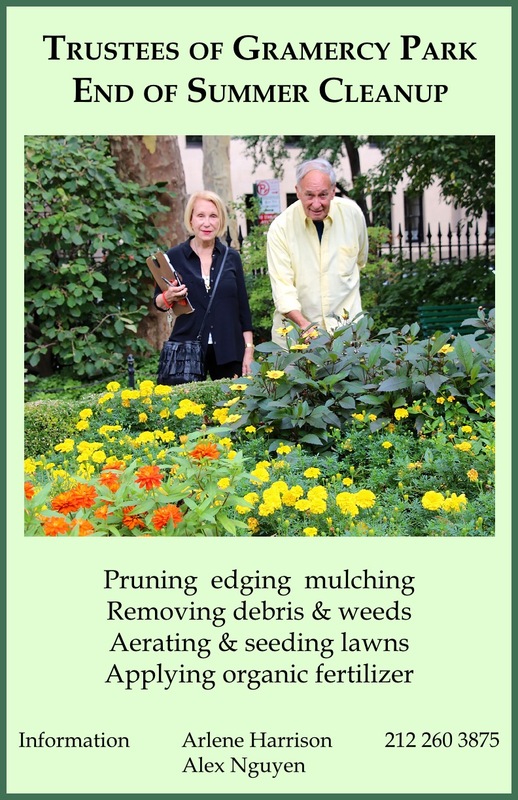 We are so grateful to for his expert knowledge and years of devoted service to Gramercy Park! Since I was a child. I don't remember doing any work other than gardening. When I was 15 years old, my first job was working with roses in a nearby town Atlixco de las flores, which means the "City of Flowers", a center of the flower industry, and a big exporter of flowers. 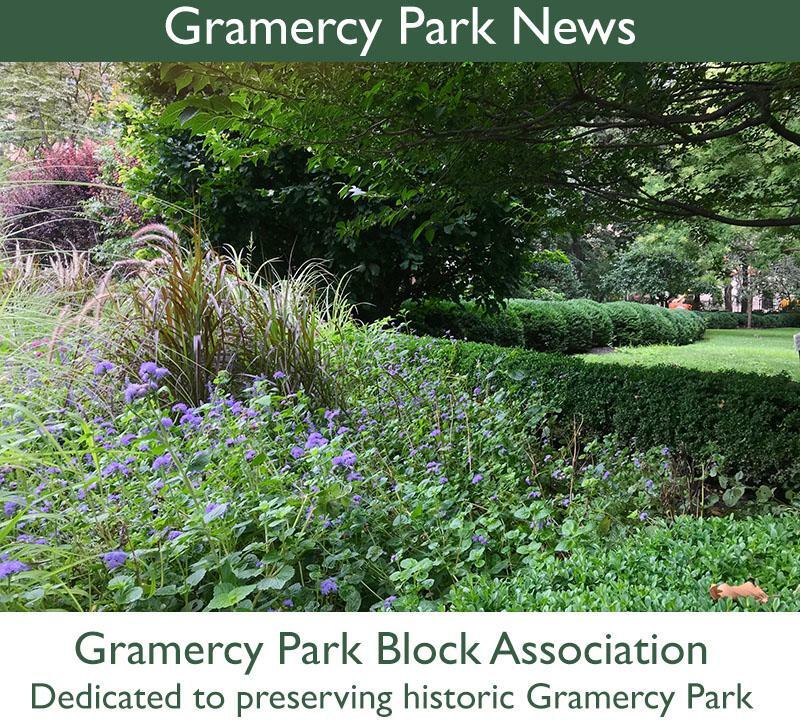 How do you get involved in working in Gramercy Park? 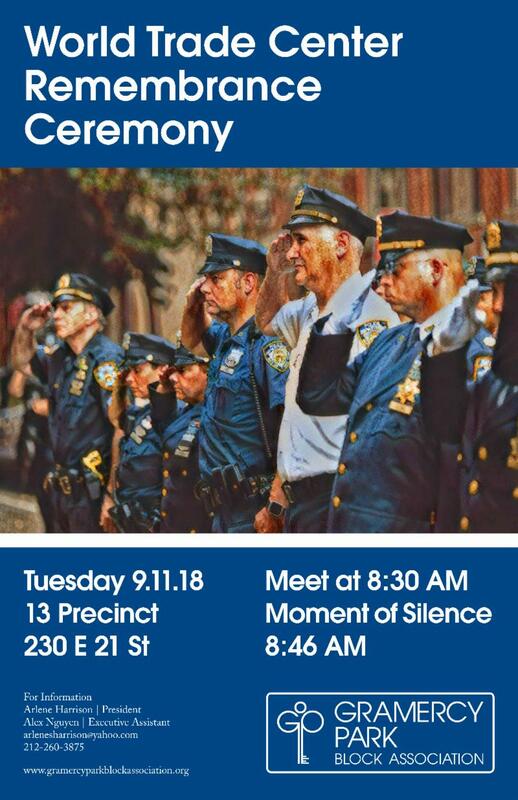 My father Alberto was the super at 8 Gramercy Park South for 34 years, and I started working there. 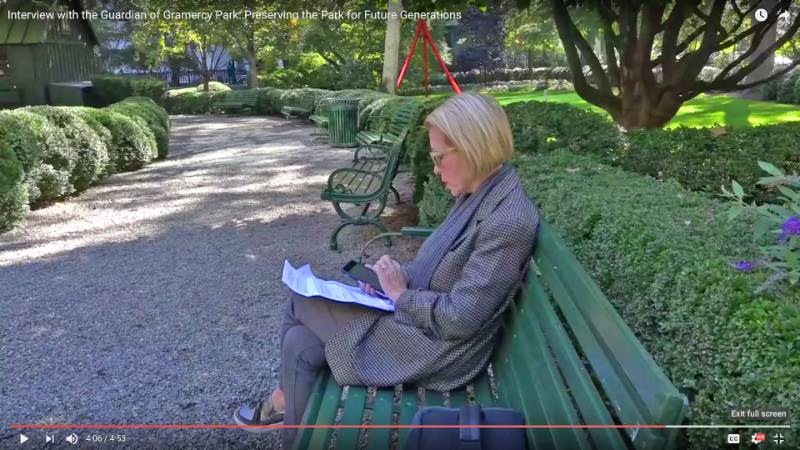 How has your work in Gramercy Park changed over the years? In the early 1990s, there was only a Park attendant, and no real gardening. 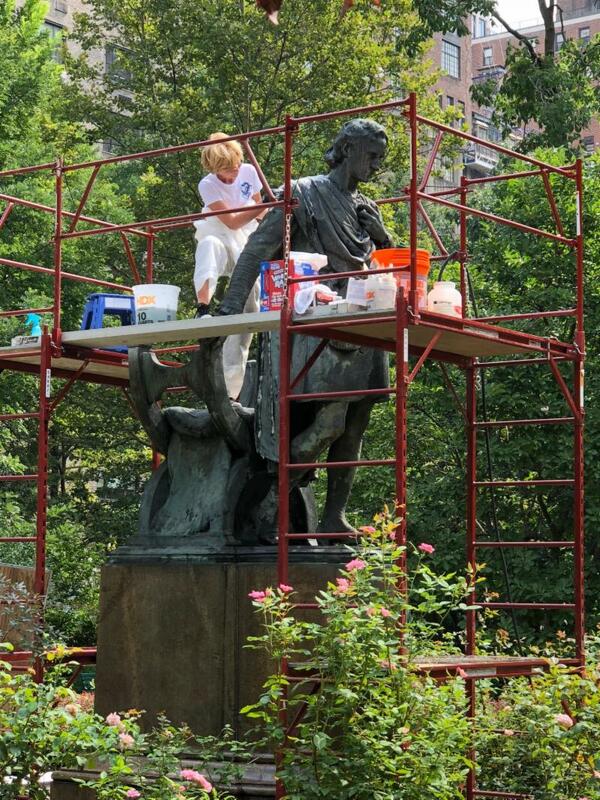 I covered for him during his vacations, and did some maintenance work in the Park. 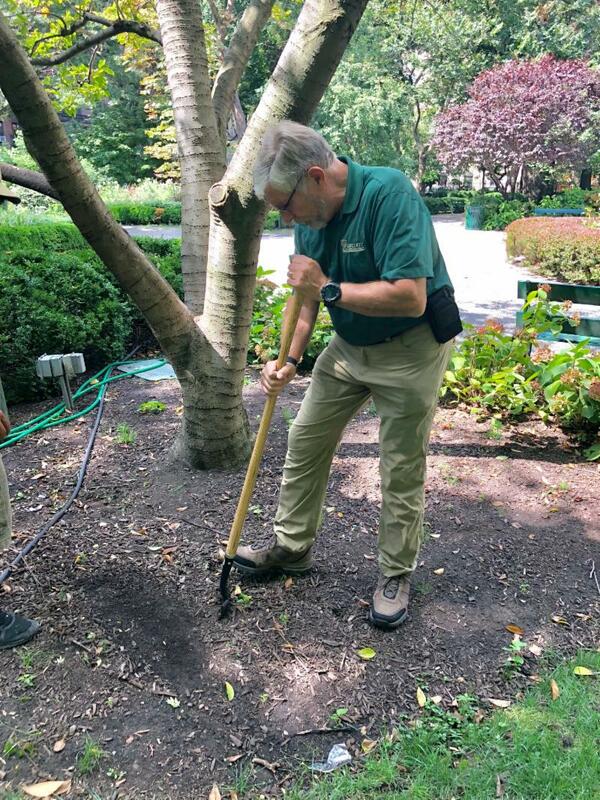 I was hired as the Park gardener in the mid 1990s, and the Park Trustees paid for me to take courses at Brooklyn Botanical Gardens and the New York Conservancy for 3-4 years. Back then, there were not many plants, just a few shrubs, and no contractors doing work in the Park. 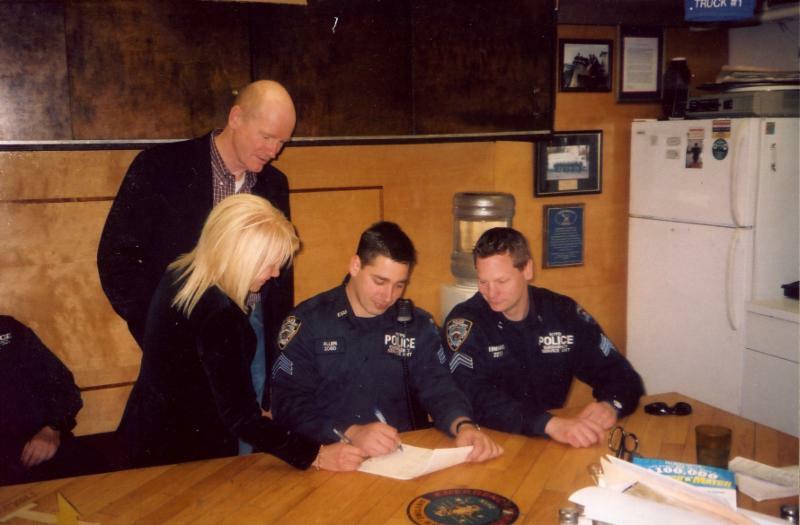 Since the current Trustees have been here, there has been a big change, much more work and responsibilities. There are a lot more flowers, shrubs, and trees. 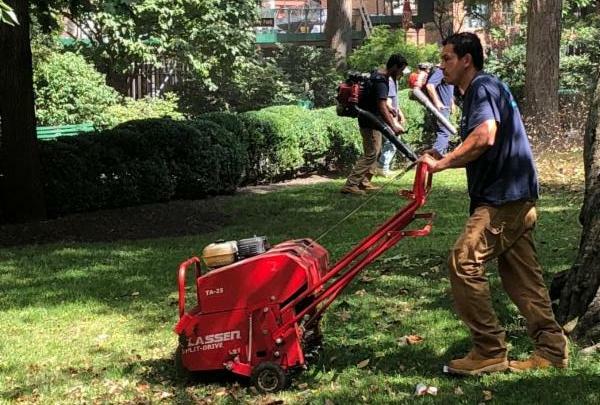 We never had the grass we have now, which requires maintenance. Things like the shed, benches and fence were restored, new gravel and cobblestone put in, and many new systems like the electrical, security, and sprinkler systems. We use to water everything by hand. Do you have anything else to say about your job? 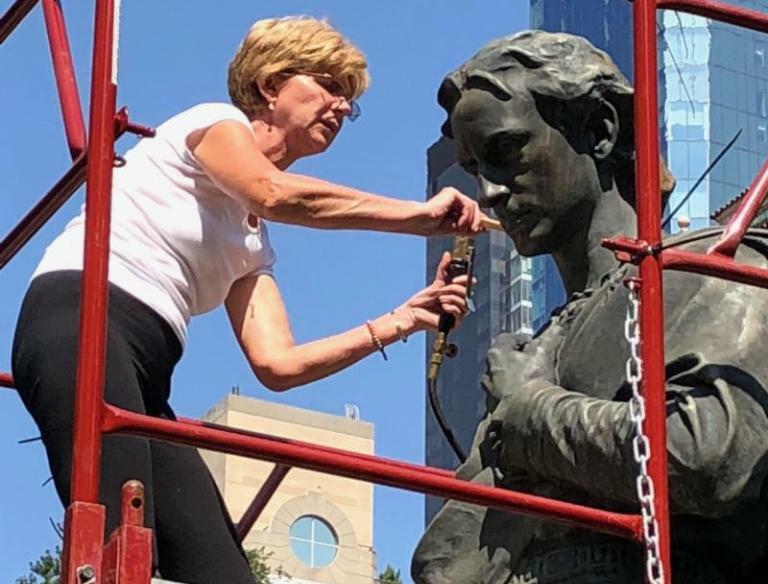 This is not a job. This is my passion. In fact, my name, Amando Flores, translated to English means "a person loving flowers." 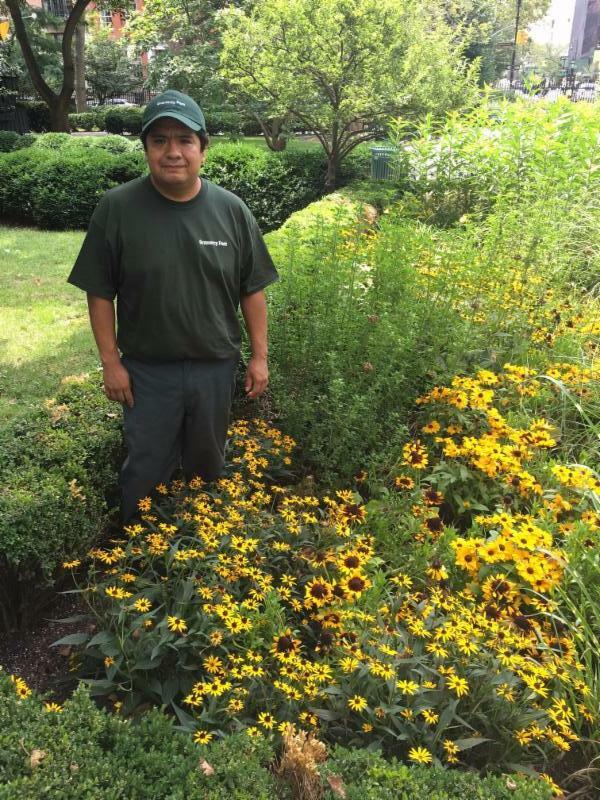 If you see Amando around the Park, please thank him for the excellent work he does taking care of Gramercy Park !